An invaluable tool for students of all levels and experience, private yoga lessons can answer questions, instill confidence, provide guidance, and help you deepen your practice. Tailored specifically for you, these sessions provide the perfect setting to address areas of specific interest and set individual goals. Work with the teacher of your choice or we’ll match you with a teacher who’ll help meet your expressed interests; practice in one of our beautiful studios or in the comfort of your home. Private classes allow teachers the opportunity to focus solely on you and ensure you are creating a healthy, appropriate practice foundation. 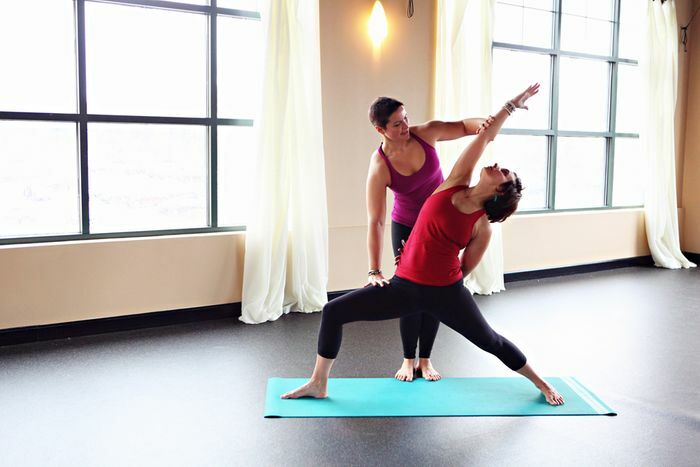 Private yoga instruction can also help you overcome intimidation and prepare you to integrate into a drop-in class. Private yoga sessions are the perfect learning environment for the more experienced student to gain deeper insight into specific postures or categories of interest. Our teachers can help with alignment, modifications, developing a balanced home practice, or provide insight into meditation, yoga philosophy, breathing techniques, and more. For those working with an injury or facing a health condition, therapeutic yoga sessions can help bridge the gap between your specific situation and how to practice yoga safely as well as promote self-healing. If you are facing health challenges, our highly skilled teachers can help you manage your condition, possibly reduce symptoms and improve quality of life. From basic back care to stress reduction, self-care private sessions adapt the practice of yoga to the needs of people seeking to manage or alleviate pain and suffering.